What is man? What does it mean to be made in the image of God? 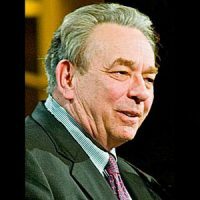 R. C. Sproul answers these questions from a Biblical and theological perspective and addresses what went wrong. Having been made the pinnacle of God’s creation, man plunged into the abyss of brokenness because of sin. R. c. Sproul says that to appreciate God’s divine holiness, we must understand our own human sinfulness.